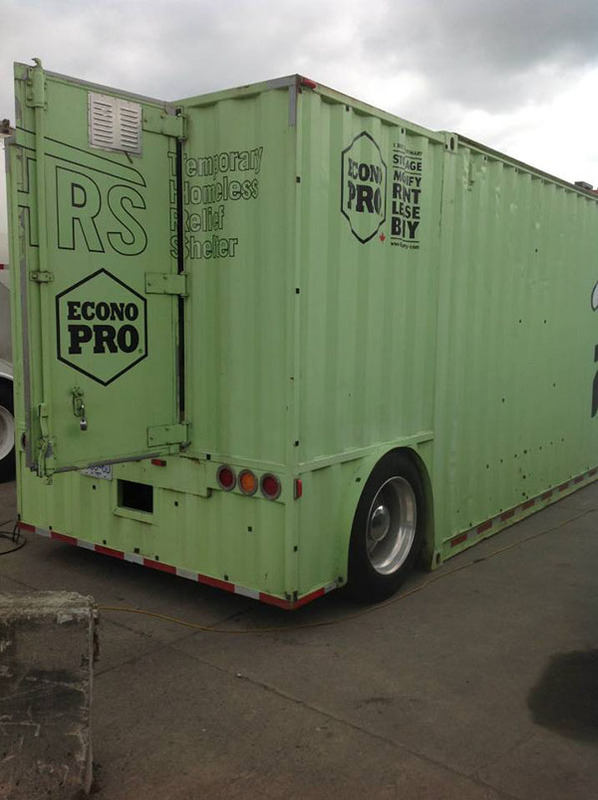 Paul Mason, the Program Manager for Campbell River Housing Resource Centre in British Columbia is the man behind the idea to build temporary shelters out of shipping containers for the homeless in the area. The converted shipping containers will provide safer and more dignified housing for the homeless by replacing the cardboard boxes, tents, and dirty blankets the homeless sleep in. Hundreds of thousands ISO shipping containers lie disused in Canada and North America. Turning these containers into eco-friendly, low cost and safe housing for the homeless and others in need is only logical. 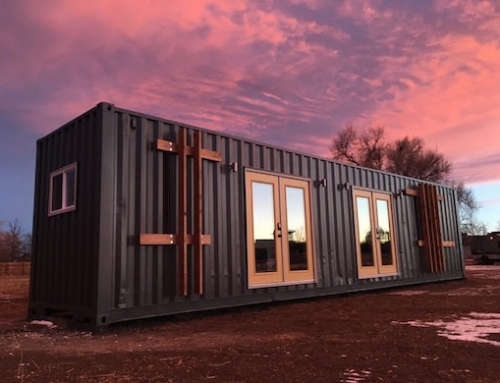 Mason is working on a project to provide up to 16 homeless people a safe place to stay inside a single 40-foot shipping container. 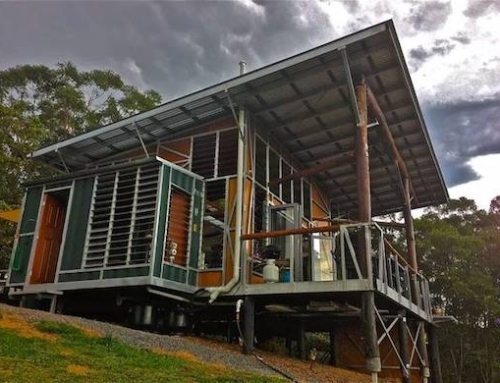 The container rooms are heated, lit and provide hot water, while they also come equipped with smoke detectors and bathrooms that are accessible to the handicapped. 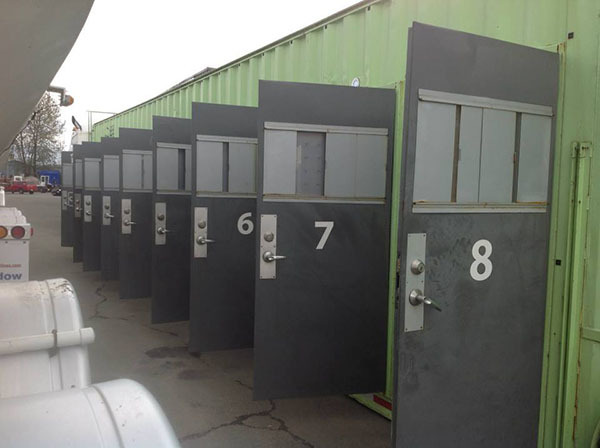 The shipping container is subdivided into eight rooms for the homeless with two beds per room. There is also an office for two trained staff members so someone could be on site to admit and care for the homeless seeking shelter. 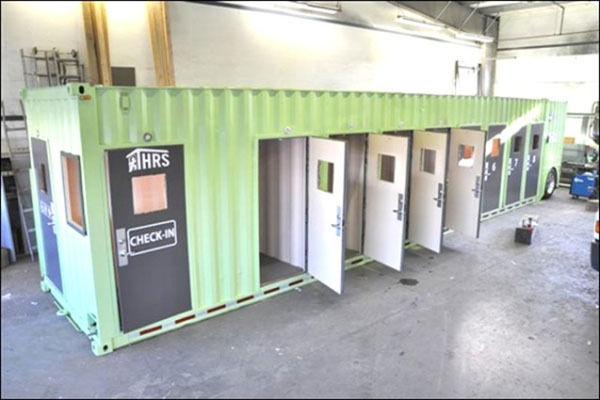 The shipping container rooms will be open from 7 p.m. to 7 a.m. preventing people from freezing to death in the harsh winters, or succumb to other dangers of living on the streets. The homeless wishing to stay the night can bring all their belongings and even pets. The nearby Radiant Life Church serves them breakfast at 6:30 a.m. The company behind this idea is Shadow Lines Transportation Group of Langley, which has a unit ready to go. The project will be financed by BC Housing through the CR Housing Resource Centre and will not be a burden on the taxpayers. 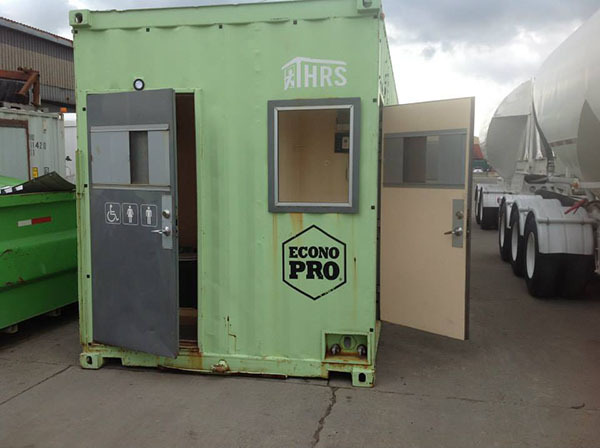 The shipping container unit they hope to use for this project has already been used to house people who lost their homes in the Hay River flood in Alberta in early 2013. One of the main reasons why Mason and his organization is working so hard to get this project off the ground is the fact that there is only one homeless shelter in the area and they have a very strict policy of who they let sleep there. 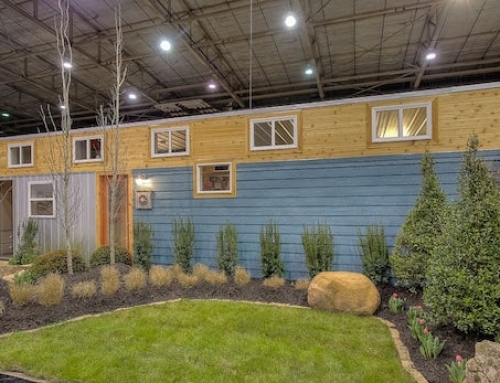 The shipping container shelter will have a no barrier policy and will be open around the clock to let the homeless in. You know at first I thought wow they look pretty good, what a smart idea, and then I seen the inside and thought again, that looks like a prison cell. surely these mods can be better made to invite those people, if there is so many of these shipping containers why not make small useable housing for those people, for example they could be on Welfare, or some kind of disability program, where they could buy the container and make it there home, maybe some land someplace close to the cities, cheap housing for “low income” people. Moving into a jail cell like housing unit I think many will pass up that idea. 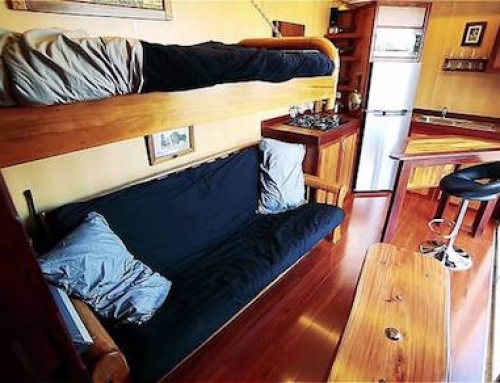 But making those ship containers into some sort of cheap housing might be better suited. Another thing I just noticed about this idea, the windows are all controlled from the outside, not the inside, yeah forget thinking it’s not a jail cell, think again, what you’re going to lock people up just because they are homeless and control them. Well some homeless people need to be monitored if the hosting organization is gonna be responsible for them. ceiling, one woman wrote on every inch of surface space in her room. The mattresses had to be burned because they were full of urine, bed bugs and fleas so those plastic covered mats will last more than one using and can be sanitized. Many of them opened the windows and left them open even in rain and snow, flooding the rooms and almost freezing to death inside the room. It is better not to have things they can hurt themselves with and they have to be protected from other homeless people. This is not bashing the homeless, this is protecting them from themselves and others. It is a lot better than jail, where most of them end up just because they have untreated mental illnesses. shelters have to be prepared for whoever shows up. Having been in a ‘homeless’ situation myself for an extended period of time, I find Timothy’s comments quite nieve. Feeling safe within 4 walls and protected from the elements and human predators is of primary importance to homeless persons of either pursuasion. Alsothis is an ideal solution for the Police, emergency groups and Charitable organisations having the homeless in ‘one’ location. 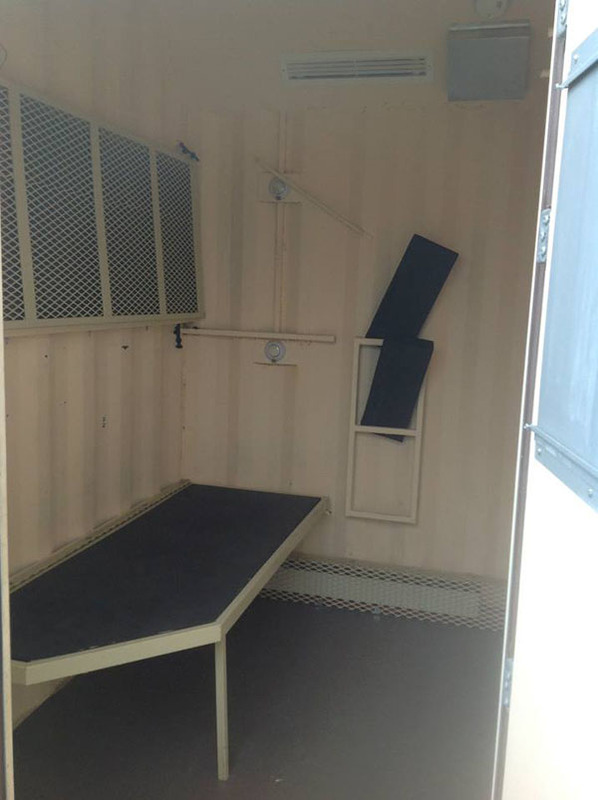 As sparse as these 40′ containers may appear, I can guarantee the mental and emotional well being of those who use these shelters will assist them regain a little self-respect and dignity. In Australia when a person is homeless and without a permanent address the Federal and State Government refuse to make welfare payments of any description to assist these people to get back into the mainstream. I agree, I have seen enough in my lifetime to know what is really going on and having a gazillion different agencies and charities just leaves too many cracks for the poor and mentally ill to fall through. It should be one stop shopping when a person registers for aid because they do not have any way of knowing what all is available and they don’t have transportation to drive them all over the state to the dozens of different offices to register with so many different offices. People who have never been in that position or who have never worked with people in that position have no business chiming in because they have no clue about what is really going on. Navigating the system is a labyrinth that even the well educated, able bodied would have trouble traversing so expecting people who are mentally ill or in distress to do it is just cruel. Yes! I agree whole heartedly and having to illustrate to authorities your ”100 point” i.d. by birth certificate, bank statements, car registration, insurances, previous tennancy with receipts, references from friends/churches/aquaintances, a passport, etc etc is truly a nightmare. No wonder many of the homeless trapped within this revolving door commit petty crime, get arrested and then incarcerated. I wonder how this program is fairing. Seems like a great idea, especially since most shelters do not allow pets and usually separate spouses. Homeless worried about having their items stolen even have a small storage area under the bed platform for their items. Great idea, within the unreasonable limits of the system of course ! 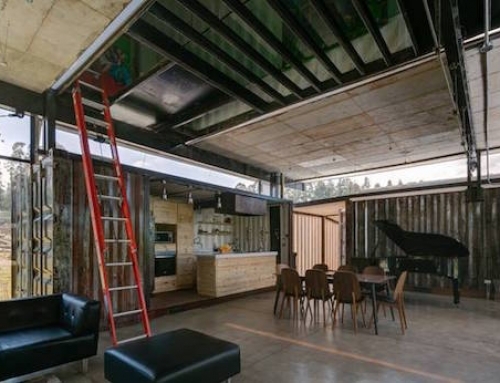 This container-shelter idea should apply, in a larger scale, to permanent social housing.